Happy Friday guys and gals! Welcome back and thanks for checking back in! I apologize in advance for running another CFTU on the Flash (as I just did one a couple weeks back), but when I ran across this cover going through a $1 box this week, I couldn't help the urge! Today I give you the Flash #210, from the 2nd series. Cover, by the late, amazing Michael Turner. What's not to say about this one? The Flash and the Rogues! All on the same cover, by Turner. I honestly don't know what else to say. In my opinion, it's amazing. 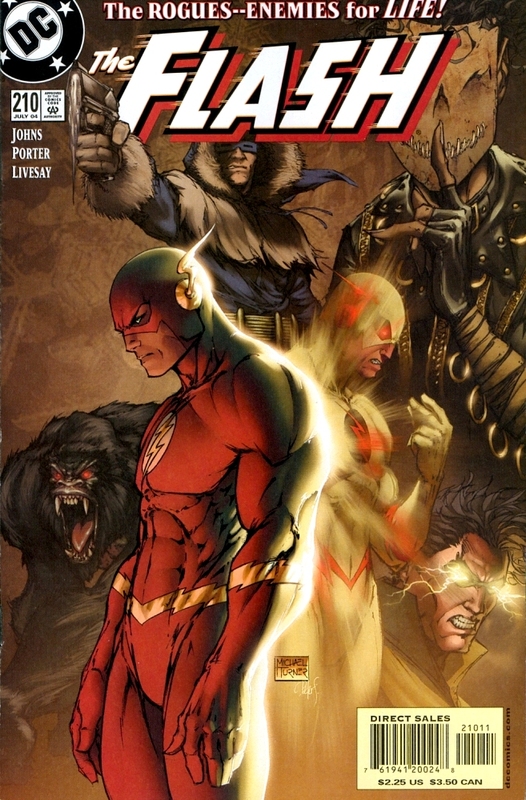 This cover comes at a time when DC penned Turner to do a run of covers for the Flash running from 207 to 211. If you can check them out, and grab them for cheap, there are some beauties in there. If you are looking to purchase one of these, they are easily accessible and relatively cheap right now. Print run was slightly below 40k and Amazon and the ‘bay have a pretty good selection of them. Like I stated previously, look for the run of them, and enjoy! Happy Hunting Fellas! Wow, feel like if that was a Variant it would command some serious cash. Great pick! I was the inker on that issue. I still have a box of comp copies. Nice cover!